VIPAccessEXCLUSIVE: Lance Lim Interview With Alexisjoyvipaccess At The 2017 Nickelodeon Kids’ Choice Sports! Grab your guitar, grab your drum sticks, grab your bass and get ready to rock on! It goes without saying that Nickelodeon’s hit TV show, School of Rock is one of the greatest shows that has ever aired on our TV screens. Starring as Zack in the exceptional show is the wonderful and immensely talented, Lance Lim. We always enjoy seeing Lance Lim shred on the electric guitar and show off his inner rockstar. The magnificent Lance Lim is truly one profound and extraordinary actor. He does such an incredible job bringing his character to life in School of Rock and we love getting to jam out with him and the whole cast while watching all of the excellent episodes. Lance Lim has also worked on other fantastic projects including Independence Day: Resurgence, Growing Up Fisher, and Fresh Off The Boat, amongst many others. It’s always a great pleasure seeing Lance Lim on the big and small screens as he never fails to leave us all mesmerized with his remarkable talent. Aside from being a brilliant actor, Lance Lim is also known for being a sensational musician. Whenever he releases a cover, we’re always left speechless with just how terrific his singing voice is. We definitely break the repeat button from listening to his covers over and over again. Whether it is acting or working on music, we can always see how much passion Lance Lim puts into everything that he works on. Lance Lim is definitely one of the most musically-inclined and multi-talented individuals we know! 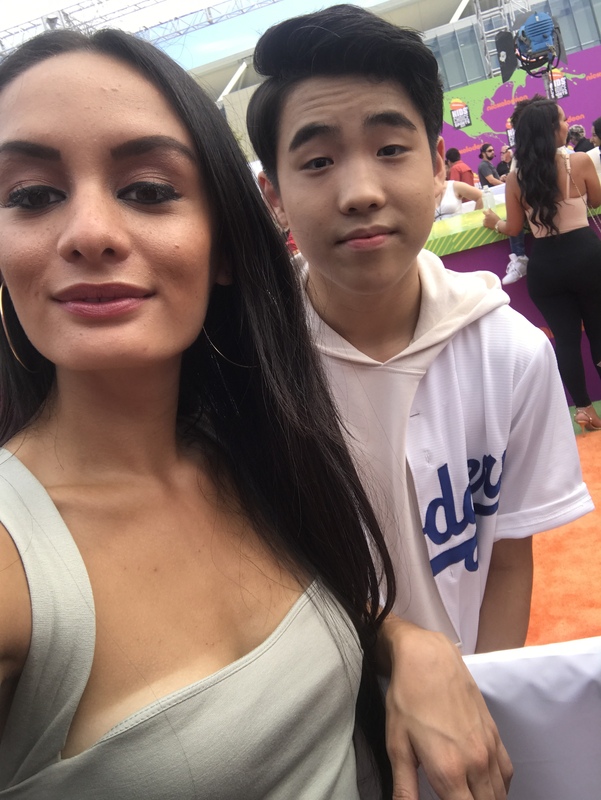 I, Alexisjoyvipaccess had the honor of covering the renowned and prestigious 2017 Nickelodeon Kids’ Choice Sports again and had an excellent time catching up with and interviewing the spectacular Lance Lim again at the event. Lance Lim dished exclusively to Alexisjoyvipaccess all about what it was like working on season three of School of Rock, which athlete he would verse in an arm-wrestling challenge, and so much more only in our VIPAccessEXCLUSIVE updated interview. Lance Lim even revealed which athlete he thinks has the most swag – hear what he had to say in our VIPAccessEXCLUSIVE updated interview below. Thanks for another awesome interview, Lance! Check out my VIPAccessEXCLUSIVE updated interview with the amazing Lance Lim at the 2017 Nickelodeon Kids’ Choice Sports below! Previous VIPAccessEXCLUSIVE: Jet Jurgensmeyer Interview With Alexisjoyvipaccess At The 2017 Nickelodeon Kids’ Choice Sports! Next VIPAccessEXCLUSIVE: Benjamin Flores Jr Interview With Alexisjoyvipaccess At The 2017 Nickelodeon Kids’ Choice Sports!